Less than half of all B2B sales reps are effective in understanding their customers’ needs. To effectively sell in your B2B space, you simply must understand the needs of your buyers. 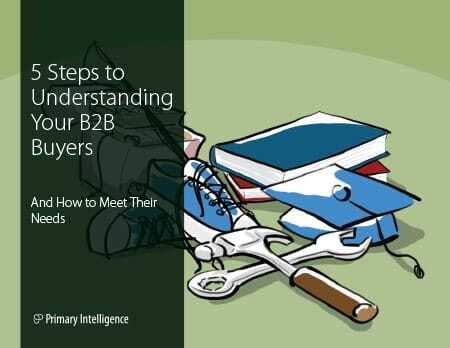 Download 5 Steps to Understanding Your B2B Buyers and How to Meet Their Needs to discover buyer behavior in sales situations, best practices to meet customer needs, along with strategies to better understand the needs of your customers... winning more deals in the process.